This Archer toilet tank combines exceptional performance and the enduring transitional style of the Archer collection. Blending subtle design elements found in Craftsman furniture and the intricate facets of fine jewelry, the combination of beveled edges and curved bases creates a timeless look that complements a wide range of styles. Capturing the elegance of a bygone era, the Devonshire collection is reminiscent of old-world design. This Devonshire toilet tank features a unique rounded profile that softens its look. The suite's simple, striking combination of curves and lines adds refinement and distinctive visual impact to bath and powder rooms. 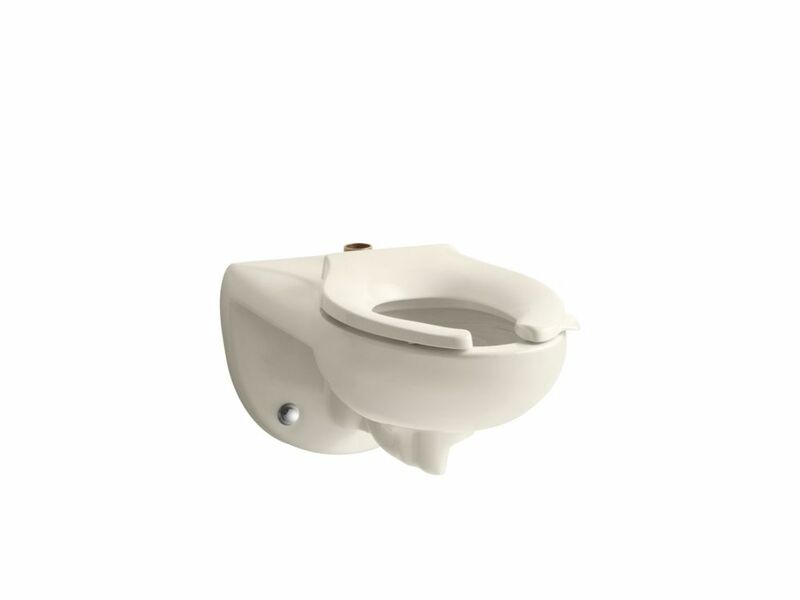 Kingston Elongated Toilet Bowl Only In Almond This Kingston toilet bowl is precision-engineered to deliver superior performance at either 1.28 gpf or 1.6gpf: depending on Flushometer. When combined with a 1.28gpf Flushometer this toilet qualifies as a High Efficiency Toilet (HET) and can contribute to obtaining LEED credits.